Western ghats, or Sahyadri as we all call it as, is a treasure trove of spectacular landscapes, biodiversity, flora, fauna, some amazing geological wonders and man made monuments. With the increasing pressure from human encroachment, all these elements are under stress and in turn are under depletion. Western ghats should be left untouched by human beings, to protect their future generations from getting short of resources, such as water, energy and clean air. The important elements of western ghats, which need protection are highlighted in the new version of Photo journal, Me Sahyadri Magazine. The current issue has few photographs of Nira river from the north Western Ghats. निरा नदी पुणे जिल्ह्यातील एक महत्वाची नदी आहे. नदीचा उगम जिल्ह्याच्या दक्षिण पश्चिम रायरेश्वर डोंगराच्या उत्तर भागात होतो. नदी पश्चिमेकडुन पुर्वेस वाहते. भाटघरच्या पुर्वेस नदी पुणे व सातारा जिल्हाची सीमा आहे. उगमापासुन अंदाजे ७५ कि मी अंतरावर नदी सोलापुर जिल्ह्यात भीमा नदीस जाउन मिळते. येळवंडी, गुंजवणी व कऱ्हा या निरेच्या उपनदया आहेत. पर्जन्यछायेच्या शुष्क प्रदेशातुन हि नदी जात असल्याने या नदीचे महत्व अनमोल आहे. उगमाजवळ या नदीवर निरा देवघर धरण आहे. वाटेत वीर येथे उथळ धरण आहे. येळवंडीवर भाटघर, व गुंजवणीवर वेल्हे येथे धरण आहे. हिवाळ्यात या नदीवर बार हेडेड गिज सारखे स्थलांतर करुन येणारे पक्षी लडाख व मध्य आशिया खंडातुन येतात. Nira is one of the important river which originates in the western ghat hills in south west of Pune district. 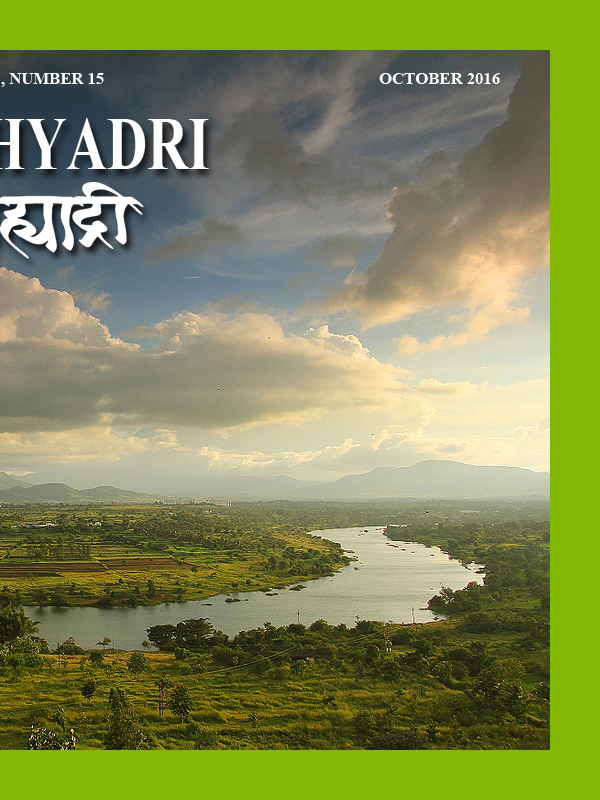 The river originates in the Raireshwar hills and eventually meets Bhima river near Akluj in Solapur district. The river traverses through a highland in rain shadow region and plays important role in irrigation of the dry and arid region. The river forms the border of Pune and Satara district east of Bhor and has important water reservoirs at Neera Deoghar at origin and Veer on the way. The river has important tributaries such as Yelwandi, Gunjawani and Karha. The Yelwandi river has its own reservoir known as Bhatghar. The Gunjavani has its own reservoir at Velhe. Karha has its own reservoir near Jejuri. The river travels from west to east for about 75 km to meet Bhima river. Large number of population depends on this river, making it one of the most worshipped rivers of the region. The river also supports the important migratory birds such as bar headed geese, from Ladakh and Central asia every winter. The leaf itself curls around the victim, thus ensuring a meal.